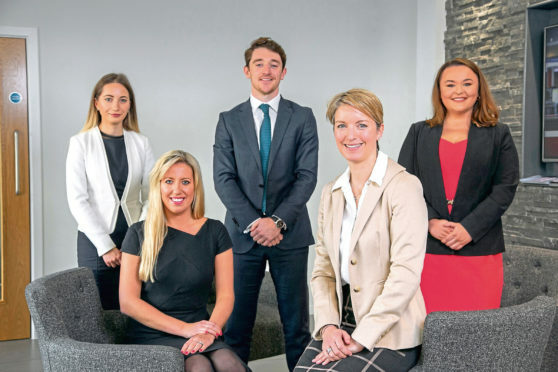 Strong deals activity in the North Sea is driving growth for the specialist oil and gas team at Scotland’s largest law firm. Brodies said stabilising oil prices, combined with a rise in asset sales and field developments, had resulted in a busy year for the team and its clients. Recent work for the firm saw it acting for Premier Oil to develop a ground-breaking contractual structure and navigate complex regulatory issues for the Tolmount Field. Tolmount’s project partners scooped one of the top honours, for innovation in maximising economic recovery, at the Oil and Gas UK Awards last Thursday. Brodies itself had cause for celebration last week, when its oil and gas team achieved a Legal 500 tier one ranking. Two of the firm’s partners, Clare Munro and Sonia Love, featured in the annual publication as “leading individuals” in oil and gas law. Brodies recently beefed up its oil and gas team with four new hires, taking the total number to 16. Mrs Munro, head of energy and infrastructure at the firm, said: “Confidence and activity in Aberdeen’s oil and gas sector is returning. “Thanks to the more frugal approach taken with operating expenditure in recent years, the UKCS (UK continental shelf) is viable for existing operations as well as new entrants and fresh investment. “In the oil and gas sector we’re certainly seeing an increase in demand for our services, particularly in M&A (mergers and acquisitions), field developments and complex commercial arrangements. The TTH option allows companies selling North Sea oil and gas fields to transfer some of their tax payment history to buyers, who can then use it to offset the costs of decommissioning assets at a later stage. Announced in the 2017 Autumn Budget, the move is intended to level the playing field between buyers and sellers, and encourage new investment in the North Sea.